Phoenix Force vs. Lord of Asgard! The winner of this match will face either Martian Manhunter or Captain Marvel for the Unlimited Class Championship! Voting closes Tuesday, June 13th at midnight EDT. This is quite a good match, actually. I remember an issue of Avengers in which Moondragon was taken to Asgard, and her telepathy was impotent against Odin. So Jean's shouldn't be the advantage here that it would be against most foes. That puts the battle on the level of raw power and versatility, and man, these two are close in that regard. I think Grey at full Dark Phoenix level is stronger than Odin, at least outside Asgard; but the All-Father has ages of experience. Really tough call, but my gut says Jean. In Asgard though, definitely Odin. I have to call it for Odin, just on experience and understanding of his own abilities. Plus, I suspect Jean might be a little used to being able to read her opponent - being unable to would be unsettling. Do we really want a God to win ? Especially an NPC one ? Thor is a PC god as is Hercules so I could give them a pass but an NPC one ? C'mon ! When all is said and done Jean Grey is but a mortal woman with power, while Odin is All-Father of the Gods of Asgard. Odin stands supreme. 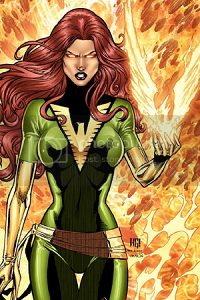 Depends how much of the Phoenix Force she is channeling. If she's in full Sun Eater mode, Odin doesn't have a chance. We all need to speak out against Deiphobia. I thought Fate was already eliminated. Yes, but the Whim of Fate is a completely different character still in the game. 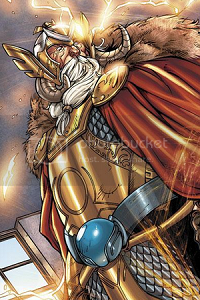 Odin is the Marvel Champion on the basis of votes!